"To educate, train, and inspire yo﻿ung female softball players to achieve success in athletics, academics, careers, and relationships." Rise Ball Camps are driven by the passion to teach the game of softball within the game of life by the three program directors. Hofstra head softball coach Bill Edwards, Rutgers head coach Jay Nelson, and LIU head coach Roy Kortmann each bring a wealth of expertise in building nationally-competitive collegiate softball programs, as well as preparing quality student-athletes to succeed in life. Rise Ball Camps is their vehicle to enhance the game of softball for young ladies looking to pursue their college dreams. In each unique camp, these three coaches combine their inspirational teaching skills with other specifically-chosen college coaches to provide a once-in-a-lifetime experience for softball players! Each camp provides intense instruction in small-group settings where college coaches can place one-on-one attention with anyone in the group. Learning from some of the best softball coaches in the Northeast, this unique camp environment has brought camp attendees from all over the country in to our Rise Ball Camps! Our unique camp series features the July Showcase Camp, August High Honors Camp and the November Premier Camp. All three camps feature fundamental and advanced position-specific skill instruction, Chunk Your Swing hitting sessions, pitcher improvement training, catcher development series and competitive team games where the non-stop teaching continues. The camps are an energetic learning experience for the player. From NFCA Hall of Famer Coach Edwards session on throwing, catching, and receiving with footwork, all the way until the last out in our competitive games, campers will be continuously engaged with softball. The July and August Camps take place at the Helen Randall 5 Field Complex in Newtown, Pa. The November Camp takes place in the Hudson Valley Sports Dome in Milton, NY just outside ou Poughkeepsie, NY. Each of our unique camps feature our opening night high level instructional sessions where coaches are immediately integrated with the campers. It is here where players engage in our Catch Throw Receive Session, Chunk Your Swing Hitting Session as well as Base Running Skill Breakout. This is a fun and very special way to open up our camp.​ Rise Ball Camps is the original and only softball camp with this unique opportunity for campers. 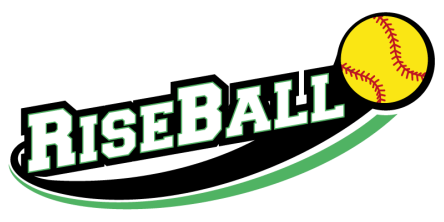 ​RiseBall is not just a camp...it is a Unique Softball Experience for players, parents and coaches!